The Architectural Solutions division of RVI supplies bespoke aesthetic thermal and light control façade solutions, which directly impact on the energy requirements of a building. 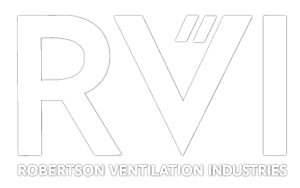 RVI boasts the in-house ability to design, engineer and manufacture, as well as install and commission application-specific custom solar shading systems for any building application or process. 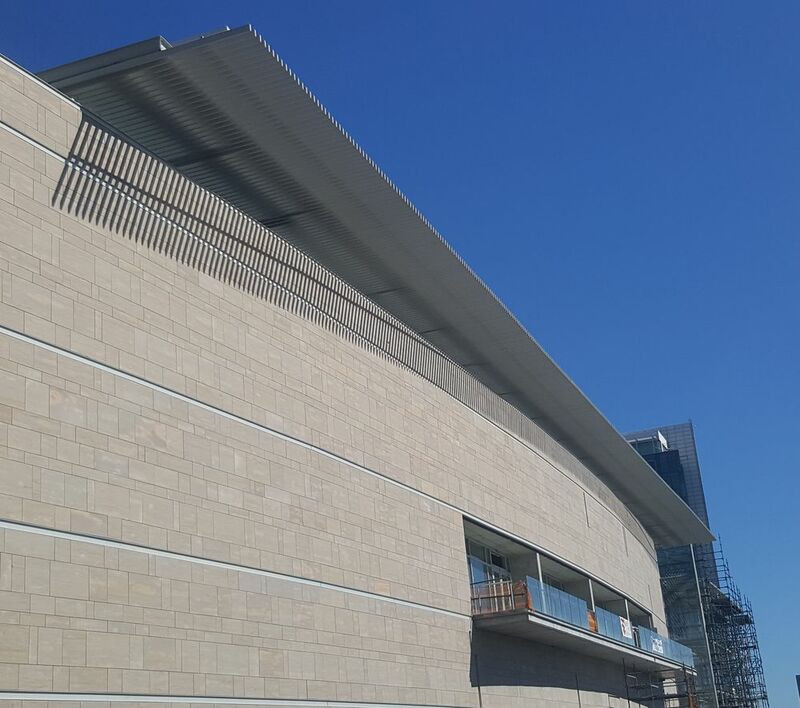 RVI was appointed in June 2016 to install a tubular (RHS, rectangular hollow section) louvre system at the Cape Town International Convention Centre. This particular louvre system is a fixed external sun shading structure that is designed to reduce solar heat gain, lower air conditioning running costs and lessen glare, whilst maximising the use of natural daylight, which is ideal for a structure of this magnitude. Four canopies are in the process of being installed during the course of this ongoing project that is set for completion at the end of June 2017 – Canopy 1 and 2 West Façade, Canopies 3 and 5 on North and South Façades and Canopy 4 North and South Façades. For the first louvre canopy RVI proposed an extruded Aluminium RHS – Rectangular Hollow Section louvre slat, measuring 200 x 50 mm fitted at a structural angle and will be fitted to the Aluminium angle sub-frame using suitable fasteners, while the sub-frame will be attached to the back of the steel structure with appropriate fasteners. Since the proposed extruded Aluminium slats cannot span 4 500 mm without intermediate supports, it necessitates that the steel substructure be adjusted to accommodate the new louvre slat. The second louvre canopy will consist of an extruded RHS Aluminium louvre slat measuring 150 x 50 mm. The Aluminium right-hand-side slat will be fitted to an extruded Aluminium angle sub-frame, measuring 76.2 mm x 50.8 mm, using suitable fasteners, while the sub-frame will be attached to the back of the steel structure using appropriate fasteners. The third and fifth canopies will also consist of an extruded Aluminium RHS louvre slat measuring 150 x 50 mm and will be continuous; the louvre slat will be attached to the 50 x 50 mm square hollow section (SHS) batten using suitable RVI type Aluminium angle cleats and fasteners. The SHS battens will be secured to the steel structure by means of suitable fasteners. The fourth canopy louvre will be assembled according to specifications, with exception of the louvre slat size and sub-frame angle measurement; as such the suitable fittings will measure 75 x 75 mm while the extruded Aluminium will measure 100 x 50mm.